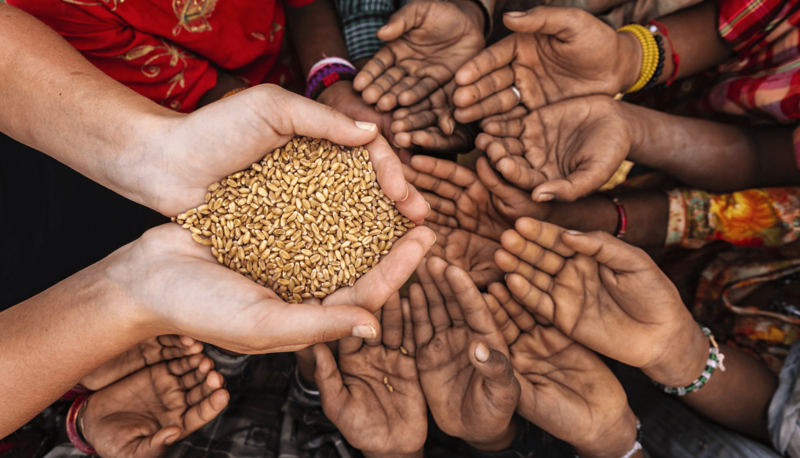 UKCAB is a community development not for profit organization that offers services as well as technical and planning assistance to sectors like education, water supply and renal failure issues. It aims to offer multi-faceted contributions to communities, advances community and development goals, and works to fill the overall need for its targeted focus areas. 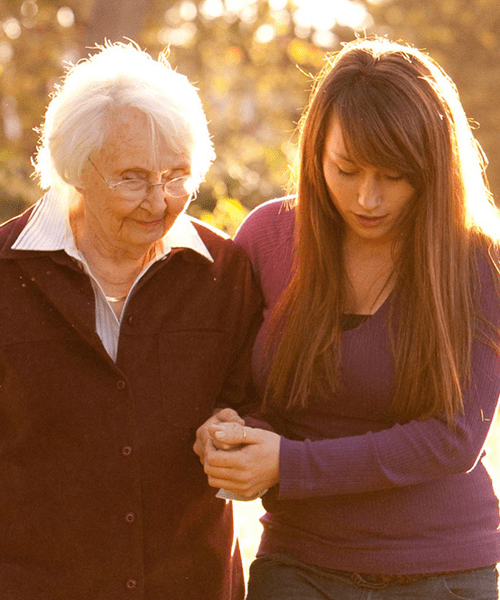 GKF is a not for profit community development project that offers services to raise awareness about renal health matters. GKF is working at community and global level to educate all people about the importance of preventing kidney disease, encouraging living donation and aiming to increase registered organ donors. Feedo Needo is a project of UKCAB established in 2006. To continue with our organisational mission of reaching out to those needing help the most; and practicing “charity begins at home”, we started food distribution drive in Birmingham. 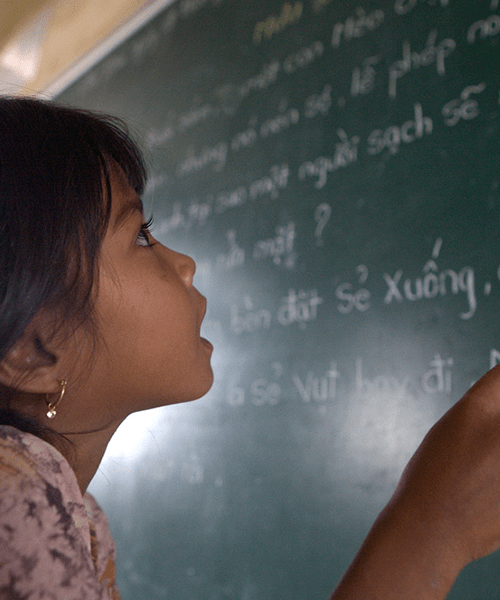 Although the projects UKCAB runs, coordinate in improving the community development pace by offering free education which will enable people to gain skills and avoid homelessness by getting jobs or starting their own businesses, we witness people who are in dire need of basic necessities to survive. Please label your donations clearly with your name and any particular cause you would like your donation to be used for and please notify us when you have made your donation by emailing us at: info@ukcab.org.uk and we'll send you a receipt. We’re delighted to announce that The UK Curriculum and Accreditation Body (UKCAB) is now part of Amazon Smile’s charity list. 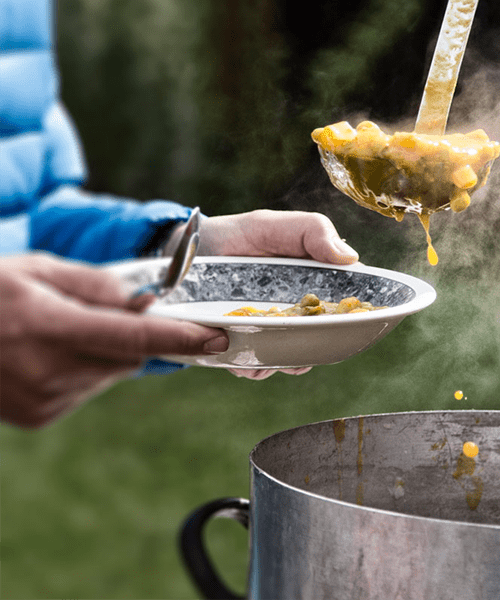 This means that your everyday purchases could help UKCAB support its network of foodbanks nationwide and campaign for long term change to protect people from hunger and poverty. AmazonSmile is operated by Amazon offering the same products, features and prices. Your shopping experience stays the same; the only difference is that every time you shop on AmazonSmile, Amazon donates to your chosen charity. Help raise vital funds for The UK Curriculum and Accreditation Body (UKCAB), just by shopping online. How much does AmazonSmile donate? 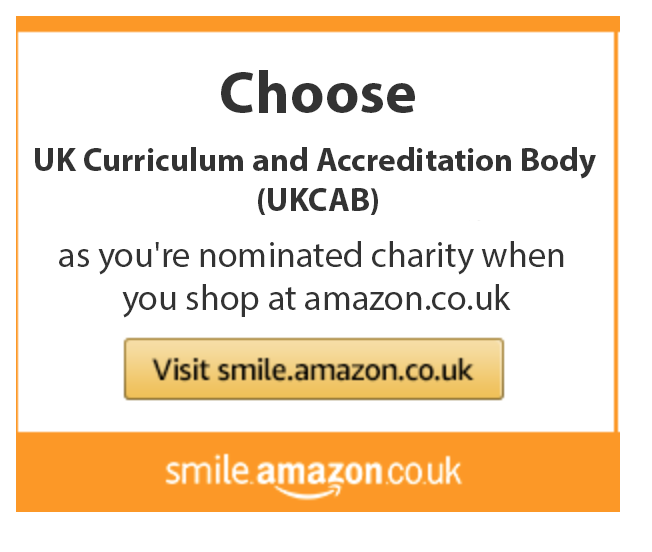 Amazon automatically donates 0.5% of the purchase price of eligible products to your chosen charity – The UK Curriculum and Accreditation Body (UKCAB), when you shop on smile.amazon.co.uk. The great news is, shopping with AmazonSmile doesn’t cost you, or your chosen charity any extra. How do I get Amazon smile? If you already have an Amazon account, you can begin shopping instantly. All you need to do to get started is to visit smile.amazon.co.uk. Log in to your Amazon account and search The UK Curriculum and Accreditation Body (UKCAB) in the ‘Pick your own charity’ search bar. Select The UK Curriculum and Accreditation Body (UKCAB). You’ll receive an email from Amazon and you’re ready to shop, shop, shop! Fill your basket as you normally would, knowing each purchase you make is also making a huge difference in the UK to an individual/family living in poverty. 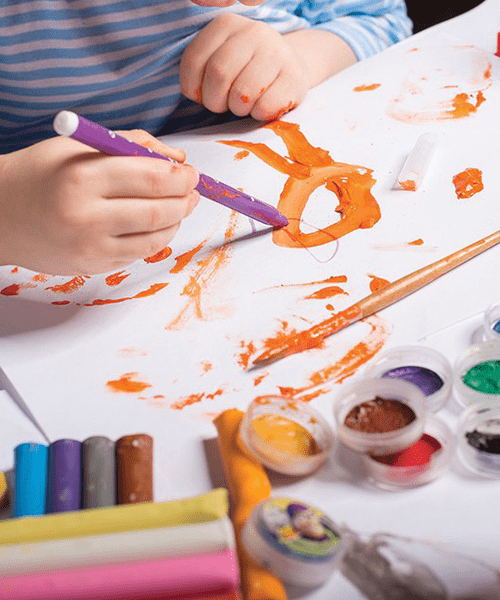 Sunshine Childcare and after school club founded under the umbrella of UK CURRICULUM AND ACCREDITATION BODY (UKCAB). 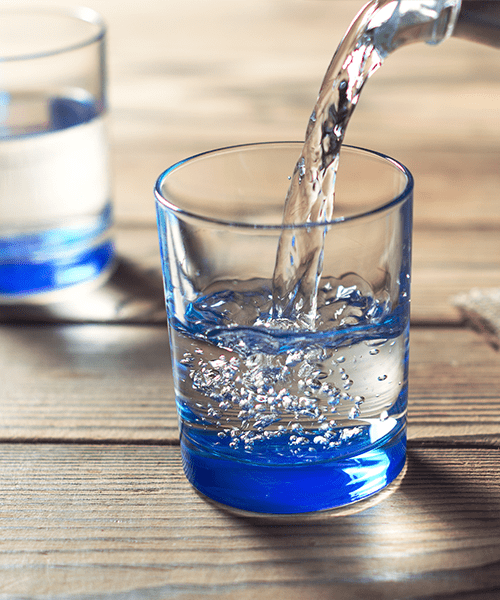 It’s a charity, originally established in 2006 to provide a full range of management development, Training, educational and operational services to Health, Education and Drinking water quality standards. This, combined with the increasing issue of childhood obesity, low grades in GCSE and the need to get children more active, has seen sunshine services develop a range of clubs to meet all of these needs. SUNSHINE CHILDCARE AND AFTER SCHOOL CLUB aims to provide a safe, caring and developmentally stimulant environment for children from age 6 to 15. Our focus is to provide a motivating and encouraging educational opportunity to promote physical and cognitive development stimulating intellectual and ethical growth of your child for cognitive development. We strive to offer parents complete peace of mind by offering par excellence childcare services in order to develop future role models. We are here to help your child to achieve their goals. Our dedicated staff is highly qualified, professional and have years of experience in teaching these levels of education and our staff will help and support your child in education by doing the education activities. Our staff is here to support your child on their path to the future, whether they have their sights set on bright future. We offer you impartial Information, Advice and Guidance to all of you so that you can make a right choice for your child and in line with your child life goals. We have been in the education business over 10 years and can claim to have excellent reputation in the market. We set out with a very simple goal, to provide parents with children aged 6-15 years with quality, affordable, active, fun childcare during the times it is needed most - the school holidays, before school and after school. If you are looking for an outstanding place to help your child to achieve outstanding grades and learn new skills everyday through our range of educational activities, please apply for a place with us.So it is a pleasure to be able to offer your child such a fantastic place to learn and have fun at the same time. Scholars School System is a private, independent and coeducational school founded under the umbrella of UK CURRICULUM AND ACCREDITATION BODY (UKCAB). It’s a charity, originally established in 2006 to assist students who have been unable to become a productive part of the society due to lack of education (Vocational / Further). Continuing with the same philosophy scholars’ school system wishes to cater to those who were unable to complete their education and wish to do that now. We believe that Vocational / Further education is the most important milestone and a foundation in building a strong foundation in transition from primary to higher academia. 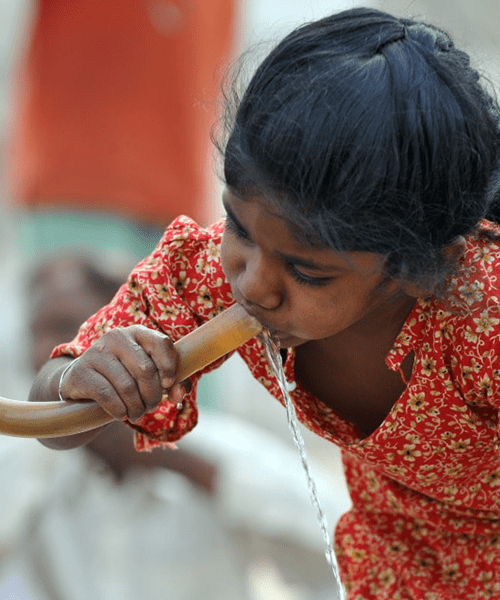 All over the world people die from drinking contaminated water. Even that dirty water teeming with germs and bacteria is not easily accessible to them. In Africa alone, people spend 40 billion hours every year walking for water. Women and children usually bear the burden of water collection, walking miles to the nearest source. UKCAB aims to endow under privileged, under developed and developing areas of the world with basic necessities like clean drinking water. The focus areas chosen are the villages and small towns. We can educate people about clean drinking water, impact of unhygienic drinking water, ways and sources to clean water cost effectively. Our focus in this project driven by the simple and effective motive of transforming lives by improving access to water, hygiene and sanitation.